As the NCAA Tournament’s round of 64 kicked off on Thursday, expectations were high. The parity throughout the nation was at a very high level this season, and usually parity elicits upsets. That’s exactly what happened this past weekend. Teams that were thought to be national title contenders fell, and teams that most people barely even knew about advanced. In terms of upsets, no 5-seeds were safe (see Virginia Commonwealth, Cincinnati, and Oklahoma), excluding Saint Louis, which squeaked by their first-round game against North Carolina State. The upsets continued into the round of 32. 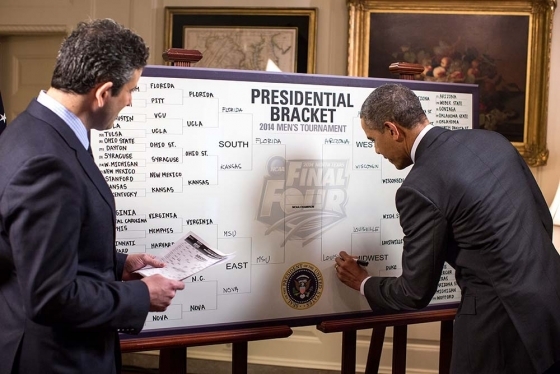 Even if the higher seeds held on, almost every game was close, further evidence of the nation’s parity. There were buzzer-beaters, late-game heroics, late-game collapses (usually by the losing teams), and just all-around exciting basketball. Not a single bracket entered in Warren Buffett’s Billion Dollar Bracket Challenge remains prefect — how could there be, with all these upsets? In case you missed the tournament’s first few rounds, here are four unexpected events from the opening weekend. Eleventh-seeded Dayton started its Cinderella run in the opening round of the South Region, when the team took on in-state rival Ohio State — though most Buckeye fans probably wouldn’t call Dayton a rival — in the first round. Considering Ohio State was the 6-seed and had been a force in the Big Ten all season, Dayton was the supreme underdog. Even up to the final 3.8 seconds of their first-round game, the Flyers were the underdog. But that all changed when, trailing by one point, senior guard Vee Sanford hit a layup to secure the victory over Ohio State. Dayton’s road to the Sweet 16 didn’t get any easier in the next round, either. They were tasked with the difficult job of playing a very athletic yet faltering Syracuse team that came in as the 3-seed. While Dayton prevailed again, it was a similarly bumpy path. Despite the final score reading 55-53 to Dayton, the Orange had two very good looks in their final possession — but they came up short, and Dayton advanced. The Flyers will be playing another member of this list (see next page) in the Sweet 16, and Dayton certainly has what it takes to continue its Cinderella run. Similar to Dayton, the Cardinal’s tournament run encompassed some pretty elite competition. As the 10th-seeded team in the South Region, Stanford tackled New Mexico in the opening round, the Lobos being a potential sleeper favorite coming out of the Mountain West Conference. Then the Cardinal drew a very lethal but young Kansas team in the second round. Yes, the Jayhawks were missing a future lottery pick in center Joel Embiid, but Stanford just simply outplayed Kansas. The Cardinal used an assortment of veteran lineups and zone defense to stymie the Jayhawks’ prolific offense, and on the other end, senior forward Dwight Powell’s 15 points and seven rebounds led Stanford. Needless to say, Kansas has a very talented roster, but Stanford’s team-oriented style of play turned out to be too much for the Jayhawks. The Cardinal will be a team to look out for in the Sweet 16: What they lack in talent, they make up for in experience and leadership. Had 14-seeded Mercer won this second-round matchup, the team would be the biggest story from the tournament thus far. But the Bears’ Cinderella run abruptly ended at the hands of Tennessee. There’s no doubt that Mercer’s upset of Duke in the round of 64 was the biggest surprise in the entire tournament, considering that the Blue Devils have the talent to make a championship run. But after Sunday’s performance, while Mercer is the feel-good story, Tennessee is the notable one. The Volunteers’ road to the Sweet 16 has been unique. As one of the teams to play in Dayton for the play-in games, Tennessee has played one more game than the rest of the remaining field. Once the Vols made it out of opening weekend, though, none of that mattered. The Volunteers impressively played and won three games in six days and notched two of those (a 86-67 victory over Massachusetts and a 83-63 victory over Mercer) in very dominant fashion. 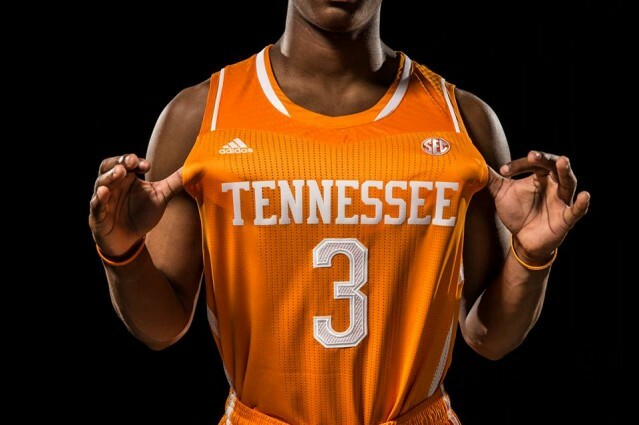 Tennessee plays the second-seeded Michigan in the Sweet 16, and the Volunteers are coming in very hot. But it’s tough to call Tennessee a sleeper when they’re the seventh ranked team in Ken Pomeroy’s advanced statistics. When the Kentucky Wildcats won a national championship two years ago with a roster full of the best freshmen in the country, the one-and-done era reached its peak. This season, three teams — Kentucky, Kansas, and Duke — had the kind of freshmen talent that could turn a good team into a great one. Of those three, only Kentucky made it out of the first weekend unscathed. The Wildcats (and all five of their starting freshmen) played with experience and poise rarely seen from young players. 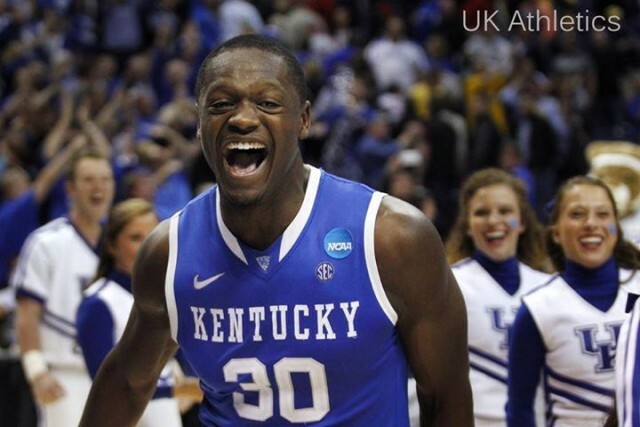 As an eight-seed, Kentucky was technically considered the underdog on Sunday, but freshman Julius Randle, who finished with a double-double against top-seeded Wichita State, proved he’s skilled beyond his years. It was Duke’s Jabari Parker and Kansas’s Andrew Wiggins who played like the freshmen they really are. Both will likely be top-five selections in the NBA Draft when they leave, but their ineffectiveness this past weekend was second to none. Wiggins, who scored 17.4 points per game this season, finished with just four in Kansas’s loss to Stanford on Sunday. Without fellow freshman sensation Joel Embiid, Wiggins’s inexperience outweighed his immense talent. But Parker was the real disappointment. The likely Freshman of the Year winner finished Duke’s loss to Mercer with just 14 points and seven rebounds. On the surface, this isn’t a bad stat line at all, but when you average 19.1 points and 8.7 rebounds per game, that kind of day doesn’t help your team. And the worst part of Parker’s performance was that he shot just 4-14 from the floor. When Duke trailed by a small margin late in the game, the Blue Devils went to Parker; he just didn’t hit. Parker looked like a freshman out there in all but his six-foot-eight frame and man’s body. Just as Wiggins will likely be a top-five NBA pick, so will Parker. But also just like Wiggins, when his team’s season was on the line, Parker disappeared.